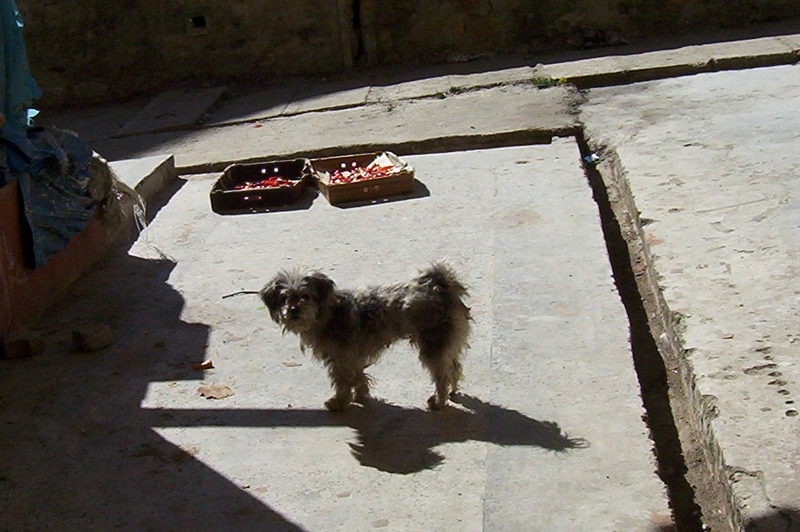 The dogs of Bhutan are weird. Ultra-weird. 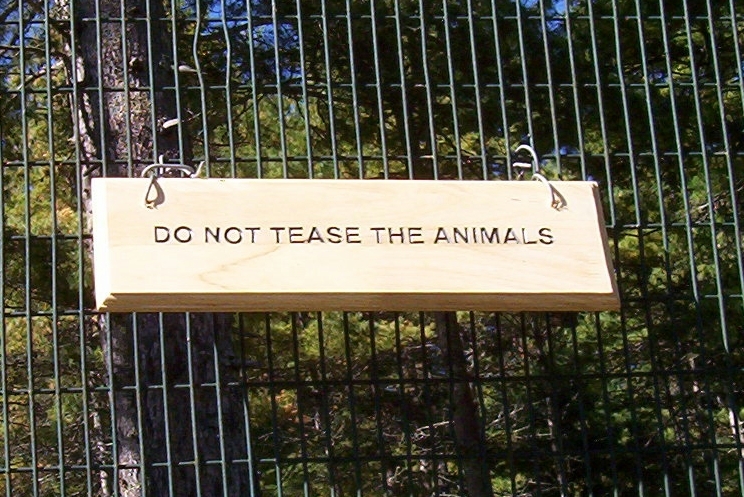 You know, if you go up into the mountains, they are practically indistinguishable from foxes. A few more thousand feet, then they are practically indistinguishable from wolves. Which is just a wee bit disconcerting. The city dogs though are just plain weird. Take your typical Indian street-dogs for instance. Haring it across the moment they see the slightest sign of traffic. As if their bloody lives depended on that one mad dash across the street. Which, to be fair, it probably does. The Bhutanese branch of Canis Lupis Familiaris though, seem to possess none of this unseemly haste. These chaps will just park themselves in the middle of the road, and stare at all incoming vehicles with a peculiar mealy-mouthed sadness. Propah Hamlet types. Willing ’em blasted cars to go on and do their worst. And they won’t move. Not an inch. A Takin. Wondering whether or not to be pissed. 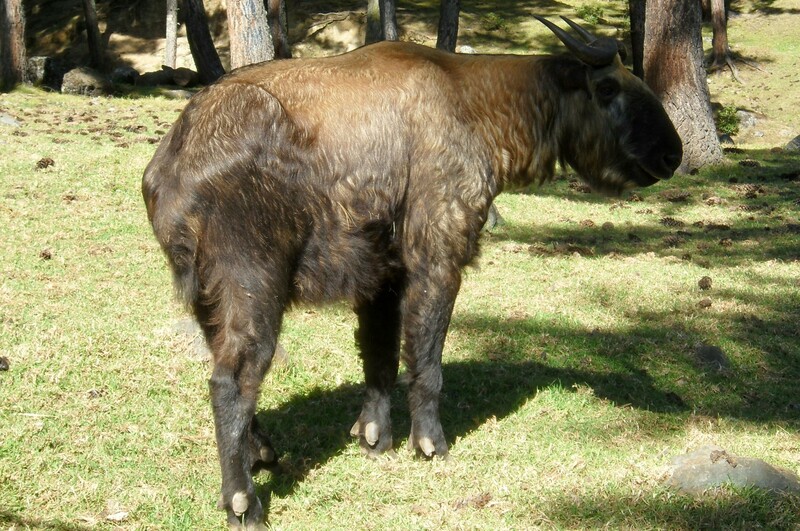 A takin, as per popular legend, owes its origin to an act of veritable legerdemain. The redoubtable Lama Drukpa Kunley (aka The Divine Madman) upon being urged to perform a miracle, fused a goat’s head on a cow’s torso. And lo and behold, the animal trundled across to the meadows to forage for herbiage. True Takin-style. The Bard once said, What’s in a name? That which we call a rose by any other name would smell just as sweet. Methinks that’s utter faff. Imagine if Romeo’s name had been Rentomendarkwapipachu instead. Juliet would’ve happily spent the rest of her life as Mrs. Paris. As opposed to causing general misery and heartburn all round. And this one's for you, Mr. Freud. Unearthed it while randomly roaming around in Paro. Inconspicuous though it might be, it is by no means hidden. Hell, its just off the main road! Bloody hell, its off the only road Paro has!! And more importantly, one would think that the entire point of having a hotel, is that it should be anything but hidden. Or perhaps, I am missing the entire point. 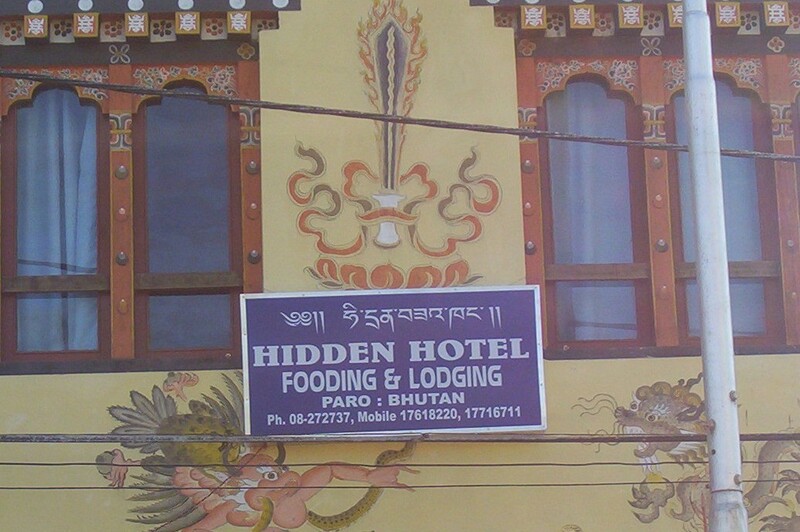 If there is one place in the world, where an establishment can call itself “Hidden Hotel”, and get away with it, its gotta be in The Last Shangri-La.